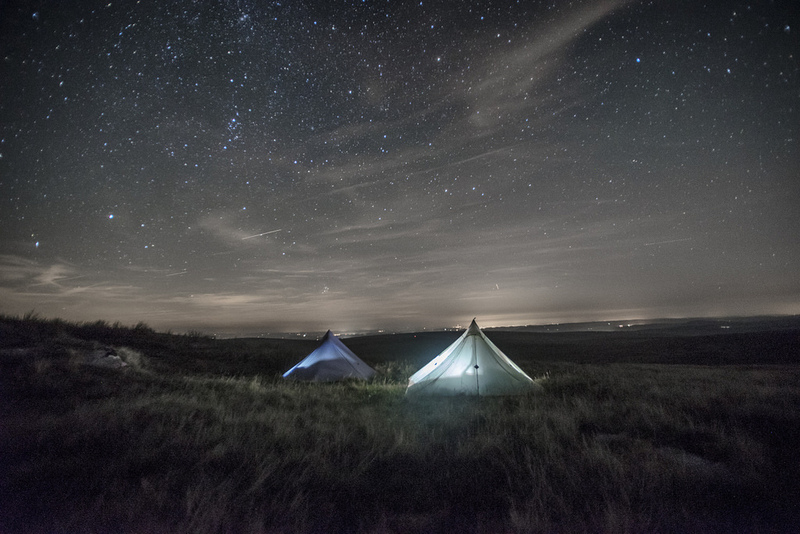 A quick one nighter on Dartmoor with my mate Nick. This was kind of a spur of the moment thing, the forecast was good and Nick and I both had a few days off but needed to be home the following afternoon. We set off from Belstone, leaving our cars by the old Water Works. Making our way along the tracks towards Oke Tor, between Winter and Higher Tors and then onwards to Steeperton via Steeperton Gorge. We found a few others had taken the opportunity to enjoy the moor on such a lovely weekend and ended up pitching in a less than ideal spot but we had a comfortable night. I had decided to carry up my Sony A7 with wide angle lens attached, tripod and a few lenses and whilst drinking whisky and coffee I took a few Astro shots. Day two we went by Wild Tor, Hound and Little Hound Tor then up Cosdon Hill before descending into a field complex and then on to a woodland river path. The night was stunning with clear views of the Milky Way. A lovely area to visit with many tors accessible within a days hike.